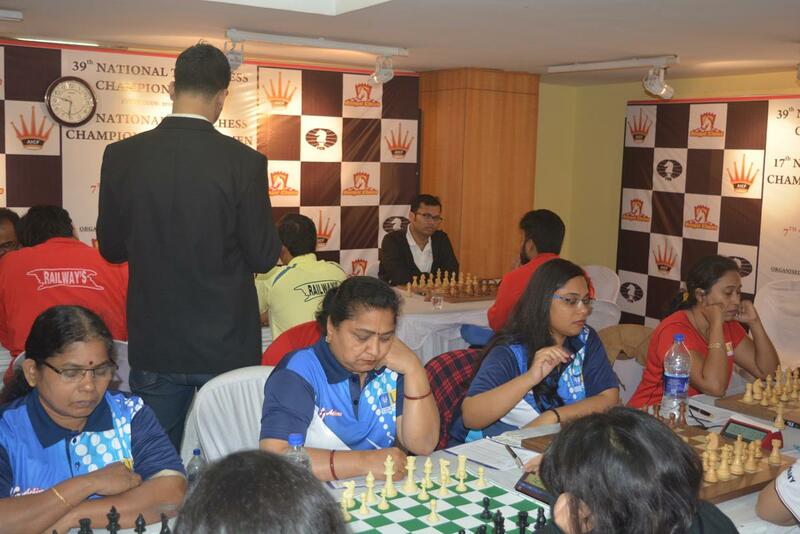 Top seeds and favorite Petroleum Sports Promotion Board on course to defend their title as they registered their sixth win in the championship to take two points over nearest contenders in the ongoing National Team Chess Championship after 7th round here at Indian Council for Cultural Relations, Kolkata on Sunday. Petroleum men showed a class act on Sunday morning to beat former champions Railways ‘A’ in the seventh round to take their point tally to thirteen match points. 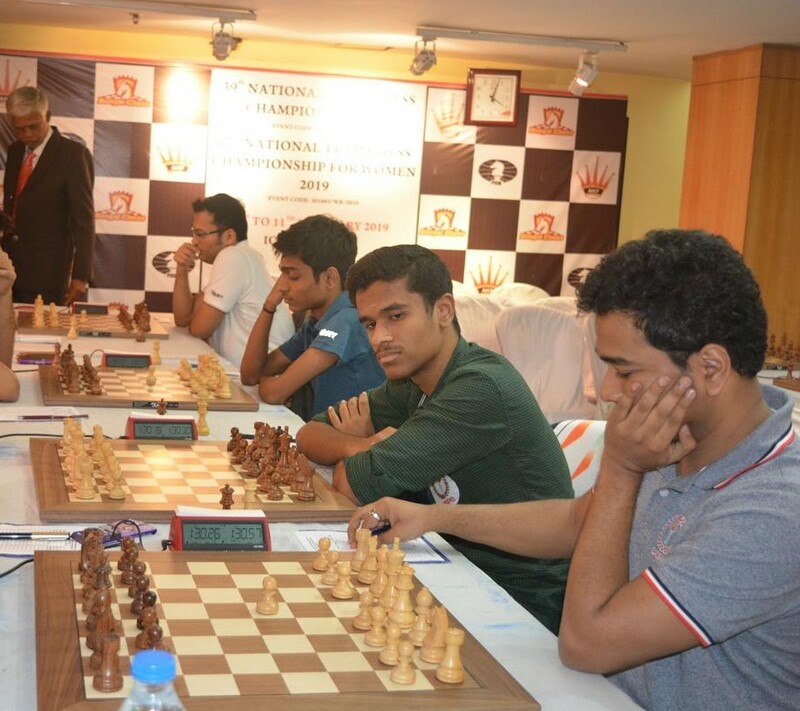 For PSPB, Grandmasters Surya Shekhar Ganguly and Gopal G N garnered full point against International Masters Karthikeyan P and CRG Krishna respectively with light colour pieces on board one and three while youngsters Aravindh Chithambaram and Karthikeyan Murali signed the peace treaty with Swapnil Dhopade and Deepan Chakkravarthy on board two and four with dark colour pieces to ensure a favourable score line of 3 -1 for the defending champions. 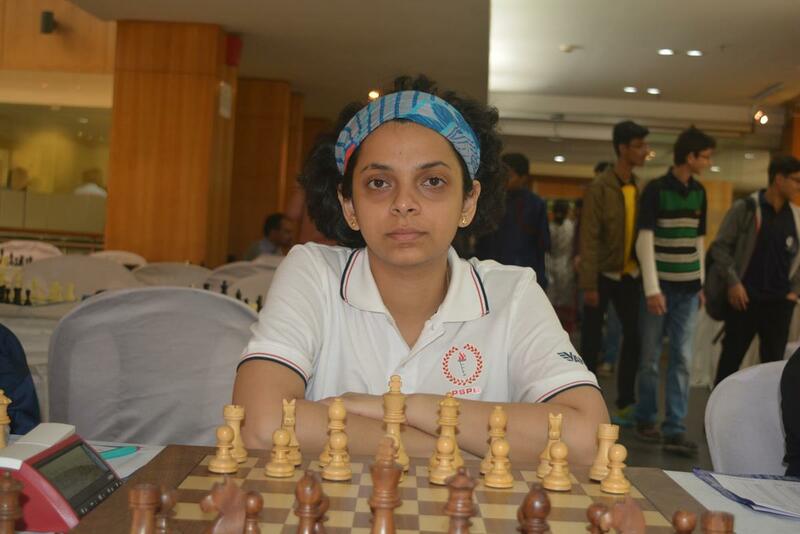 With eleven points, fourth seed Air India and fifth seed Railways ‘B’ are occupying the on joint second spot. 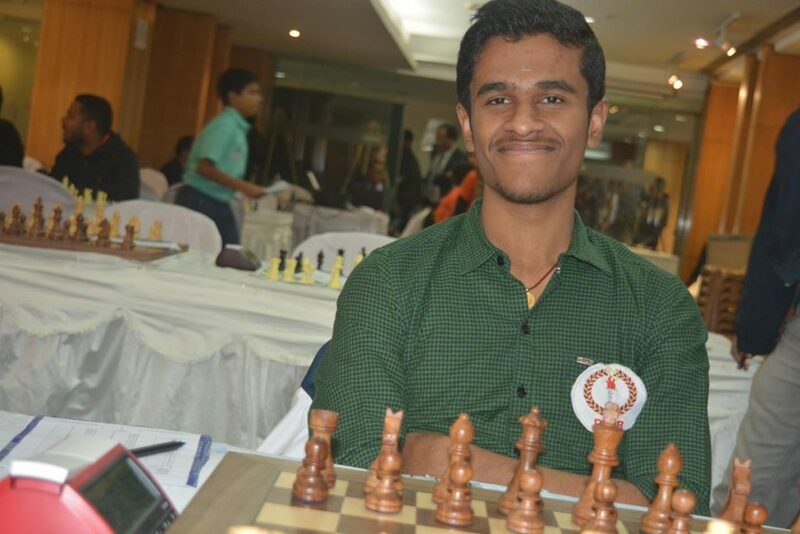 Air India outwitted second seeds Airports Authority of India 2½ – 1½ while Railway men got better off Bengal Red with same margin in the seventh round encounter. 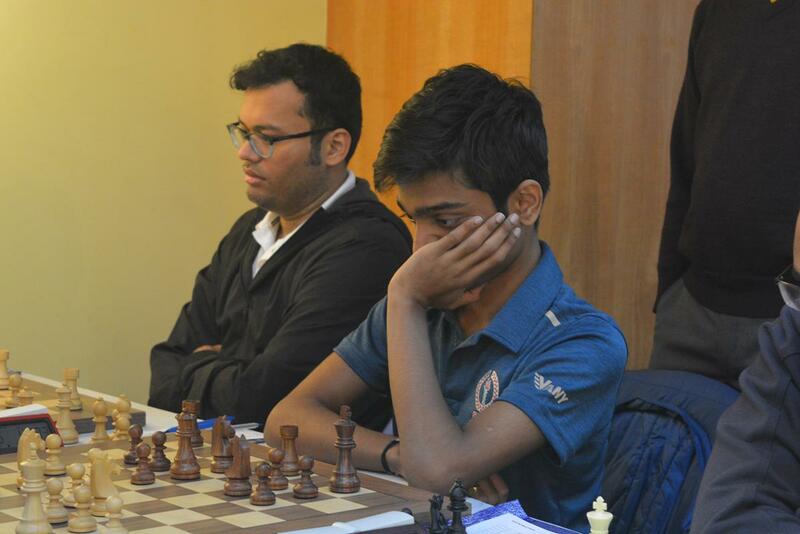 Swayams Mishra for Air India and S Nitin for Railways ‘B’ made the difference for their respective teams with scoring the crucial points when all other boards ended without decisive results. 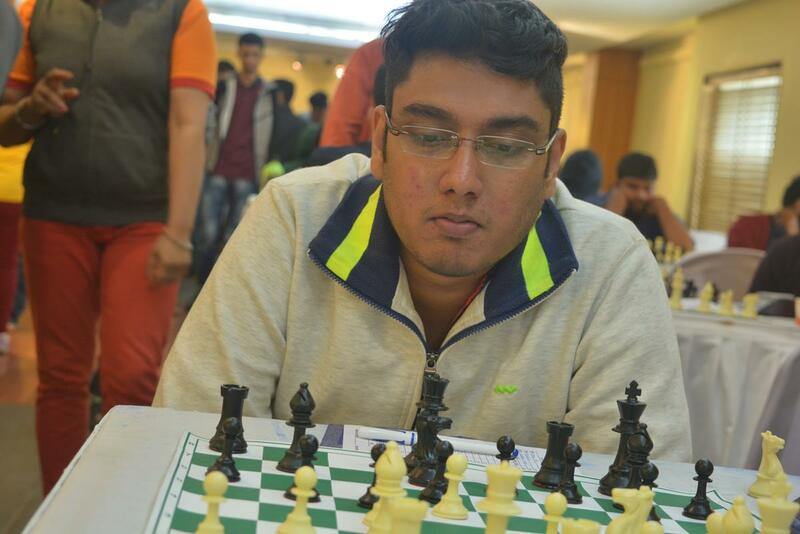 Swayams beat Stany while Nitin got better off Dibyendu Barua. Earlier in the sixth round, PSPB beat Airports Authority of India while match between Air India and Railways ‘A’ ended in a peace treaty. Meanwhile, there is no stopping for the PSPB women as they registered fifth win from as many matches to top the table with perfect score. In the fifth round, they beat Life Insurance Corporation and now enjoy three points lead over nearest rivals Air India and Airports Authority of India with just two rounds remaining.